Quality, reliable and locally-supported laser line scanners. 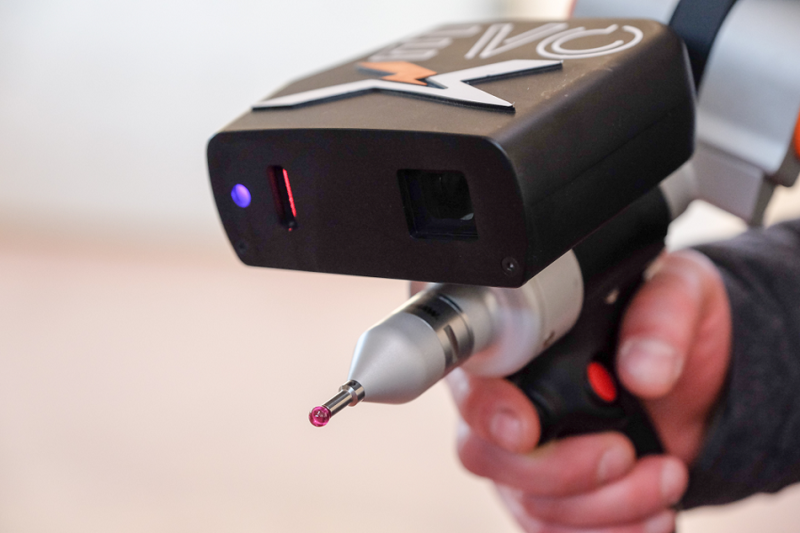 Our range of 3D laser scanners come in the form of an arm-based portable arm CMM measuring solution from Italian-producer – RPS Metrology as part of their seven axis EVO arms with measuring volumes starting at 1.8m and up to an incredible 7.0 metres! The largest in the industry. The latest edition to the RPS Metrology range, the new EVO-X is a fully-integrated laser scanner and seven axis arm with incredible accuracy, high scan rates and resolution – at a very affordable price point. All of the products that we supply, including the RPS Metrology range of laser-line scanners, are of the highest quality and are sourced from leading manufacturers from around who are the leaders in their field! We know laser-line scanners and can help you choose the right product for your application and to suit your budget. With many years of industry experience you can rely on our advice to make the right choice. The promotion of the RPS Metrology portable measuring arm Brand continues to grow in Australia. To find out how an RPS Metrology portable arm or laser scanning system can help grow your business, please get in touch for more information! RPS Metrology are a leader in the manufacture of laser line scanners. Here is a summary of the range of laser line scanners offered.